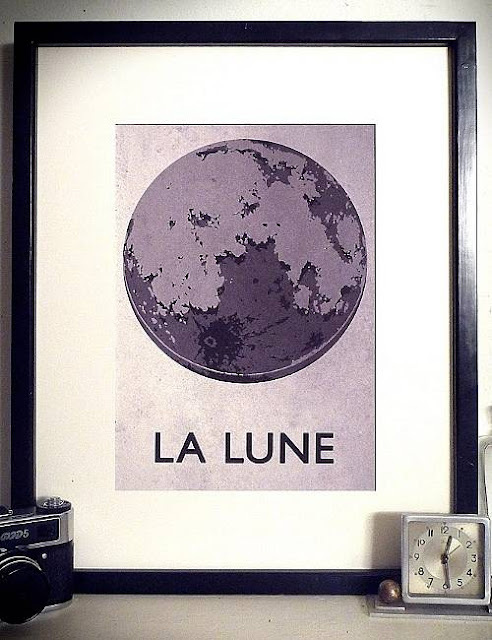 Love this A3 La Lune print sold by Rose & Grey at notonthehighstreet.com. This print is inspired by old classroom wallcharts. These limited edition prints began life as an experiment in replicating old printing techniques - mixing the analogue and the digital, before they truly took on a life of their own. There will only ever be 50 of these made, with each one signed and numbered by the artist, Double Merrick.